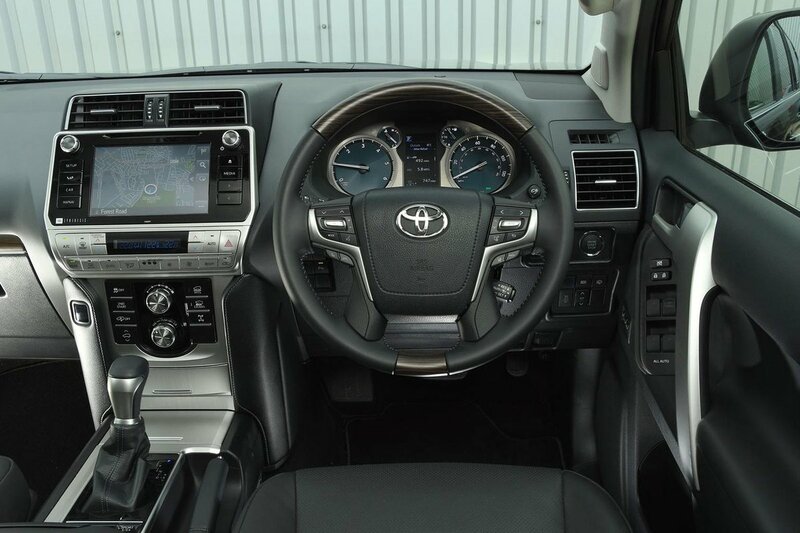 Toyota Land Cruiser Interior, Sat Nav, Dashboard | What Car? Sit in the Land Cruiser’s driving seat and the first thing you’ll notice is the soft and squishy cushioning that’s rather like a favourite armchair. That’s great, until you enter a corner and lament the lack of side support, leaving you gripping onto the steering wheel to hold yourself in place. Entry-level Utility and Active models get a manually adjustable steering column and driver’s seat, including height adjustment and lumbar support, while these are adjusted electrically in the rest of the range. In either case, the amount of movement offered lets you get comfortable and there’s good visibility out of the large windows and relatively slim pillars. We can’t be quite so effusive when it comes to the layout of the switches, which appear to have been scattered across the dashboard with little thought as to how easily they can be found or deciphered while on the move. It’s a similar story for the poor infotainment system. Yes, the 7.0in touchscreen is placed high up – that’s helpful – but the icons are small and the menus confusing. The system is not very responsive to commands, either. We’re also unimpressed by the quality of the materials. 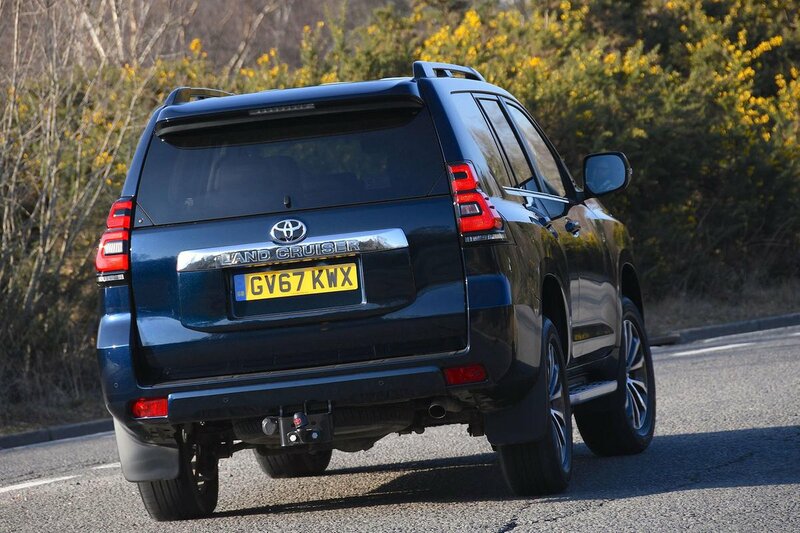 No doubt they are robust enough to last a stint crossing the plains of Africa, but in terms of looking swish – this is a premium-priced SUV, don’t forget – the plastics look cheap and the switches sound unsatisfyingly hollow when pressed. 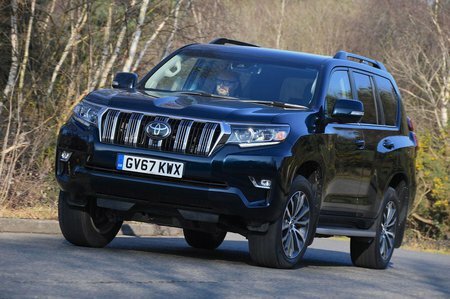 Next to a Land Rover Discovery or even a Skoda Kodiaq, the Land Cruiser’s interior looks and feels decidedly low-rent.